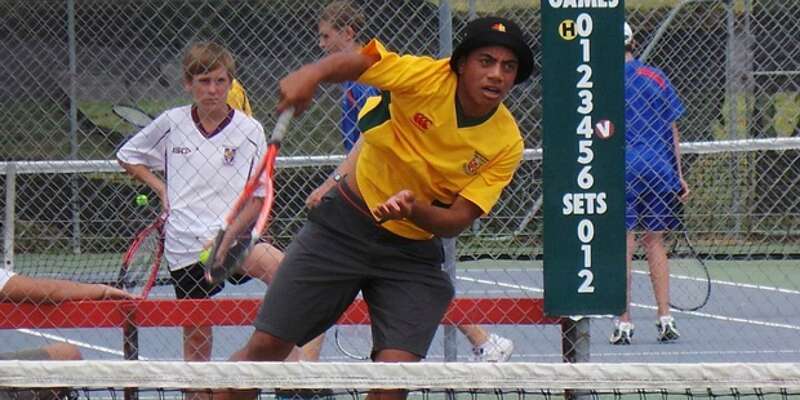 Semisi's enjoyment of the game - and a fair dash of natural talent - led to his Uncle persuading him to join Jellicoe Park Tennis Club where Semisi is now senior open club champion, despite never having had formal tennis coaching. He practises daily with his brother, Year 13 student Junior Fanguna, and models his game on two-time grand slam champion Andy Murray. The lack of formal training proved no obstacle at the Counties champs in Pukekohe last month where Semisi won all four of his matches, dropping only one game throughout the day. 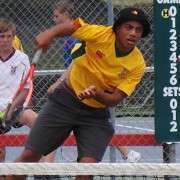 In the final he defeated Jarrod Richards of Tuakau College 6-0, 6-0, 6-0. Manurewa High School raised more eyebrows at the competition when Kalesta Aso won the senior girls singles, her brother Utison won the intermediate boys plate singles, and sister Malia won the junior girls singles.